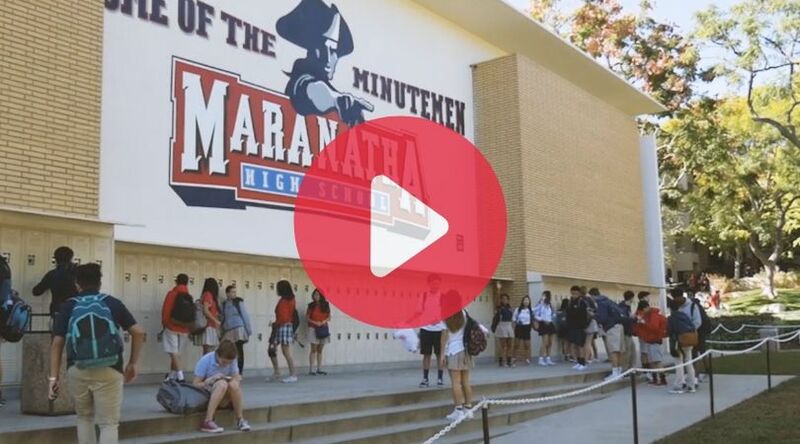 Maranatha High School invites international students from around the world. In recent years we had students from China, Equatorial Guinea, Germany, Japan, Mexico, Nigeria, Peru, Portugal, South Korea, Switzerland, Taiwan, Thailand, and Ukraine. We issue a limited number of I-20’s to college preparatory diploma-seeking students. Green card students are also admitted into our international student program and our homestay program. 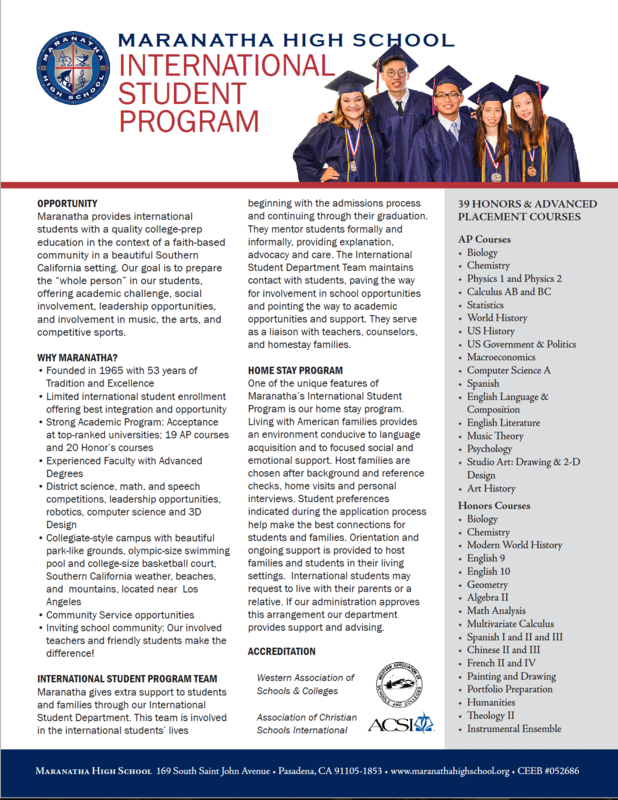 Students in Maranatha’s International Student Program have the opportunity to participate in our strong college prep program with 22 AP level and 20 Honors Level courses. Under the support of our International Student Director, International Student Associate Director, International Student Program Coordinator, College Counselors, and Advisors, our international students also receive extra orientation, support, and preparation through their high school experience. Our teachers also develop relationships with the students to support them through the High School years and into university acceptance. Maranatha is excited to see our International Students actively engaged in significant roles of leadership, participating in competitive academic contests, the arts, sports and in community service. With limited international student enrollment (15% of student body) there are more opportunities for integration. Strong academics including 19 Advanced Placement and 20 Honors courses, local science, math, and speech competitions, robotics, computer programming and 3D design. International Students accepted to top ranked universities like Brown, Emory, UC Berkeley, UCLA, and USC. Collegiate campus with beautiful park-like grounds featuring southern California weather, near to beaches, mountains, and Los Angeles. Inviting school community: Our involved teachers and friendly students make the difference! Service opportunities and high community involvement. Maranatha international student admissions is very selective based on student’s academic record, English proficiency, and willingness to participate in the wide range of co-curricular and extra-curricular offerings. Most openings will be in grade 9, with grades 10 and 11 applications considered for a wait list. Applications are only considered for full academic years, beginning in August of each year. No spring enrollment. Admissions for the 2019-2020 Academic year is open for the International Student Program. Applications are considered as they are submitted (all items on the application checklist are required before consideration), followed by Skype or in-person interview for qualifying applicants. For the 2019-2020 academic year we anticipate filling 20 grade 9 openings and between 2-4 openings in grades 10 and 11. To apply, begin by following the instructions under the "Apply" tab on this website page. Apply Early before limited openings are filled. NOTE: An official checklist will be sent to you as soon as you begin the online application. The details below are for your reference and preparation. Students and parent(s) need to submit the online application. To do so, click on the Red "Apply" button on this page. You will create an account to access the Online Application. The account will also give you access to the application Check-List for additional required items. One of the unique features of Maranatha’s International Student Program is our Homestay Program. 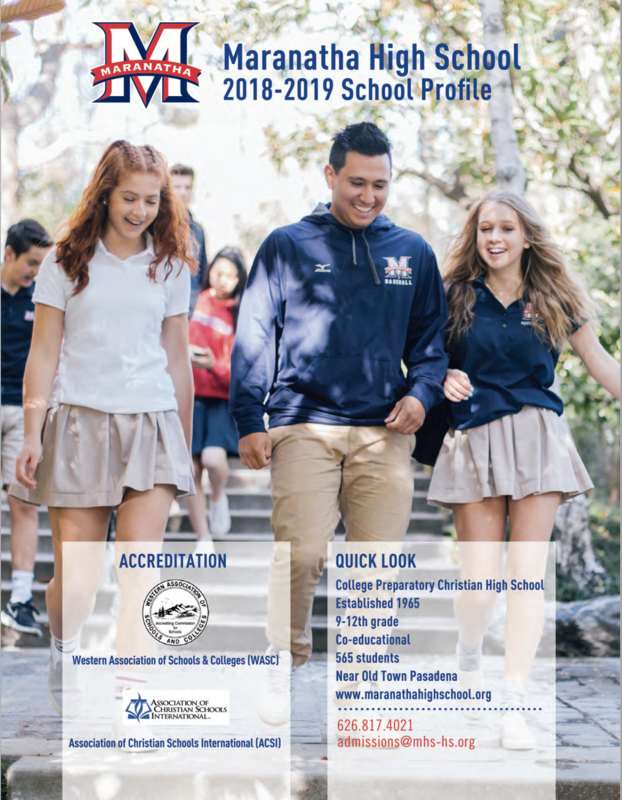 We find that when international students live with our American families, they grow through the cultural immersion and find the home environment conducive for learning and a more focused social and emotional support for thriving as a student at Maranatha High School. Summer Institute: International Students enrolled in grade 9 for 2019-2020 will participate in our 2 1/2 week Summer Institute beginning July 23. Students are tested for English and Math placement and receive an orientation to the school and to western education and culture. Students also experience full English immersion, English literature and grammar preparation, US History, Speech and Bible in addition to a chaperoned exploration of the sites of southern California. This is fun and educational time for our new students. They always remember this program as a highlight of their Maranatha experience. This program gives our new international students an opportunity to develop relationships with each other, with teachers and staff and to become very familiar with our campus before school begins. Click on the images below to open each document.